Fights the 5 signs of fatigue | Helps reinforce the skin's natural resistance. 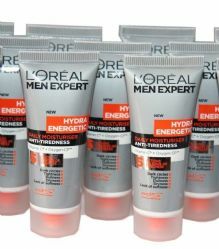 | Fresh and hydrating formula designed for men. Each tube is brand new, 20ml Size (9cm tall) you get 12 tubes.